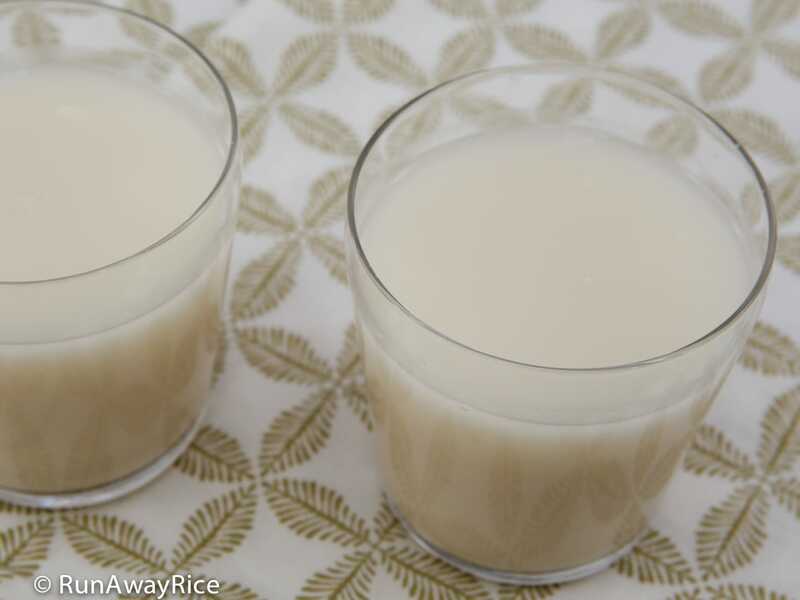 This Rice Milk (Sua Gao) recipe is a breeze to make and so delicious. In this easy recipe, roasted brown rice is used to make a fragrant, light-tasting and refreshing drink. Add your choice of sweetener: sugar, honey or a sugar substitute and the Rice Milk is a wonderful beverage to enjoy any time of the day. 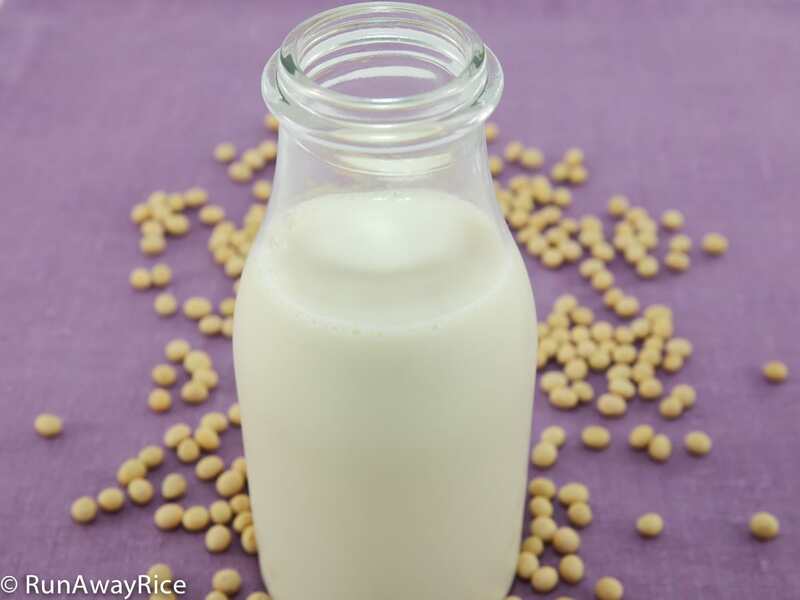 Rice Milk is a really healthy alternative to cow’s milk. 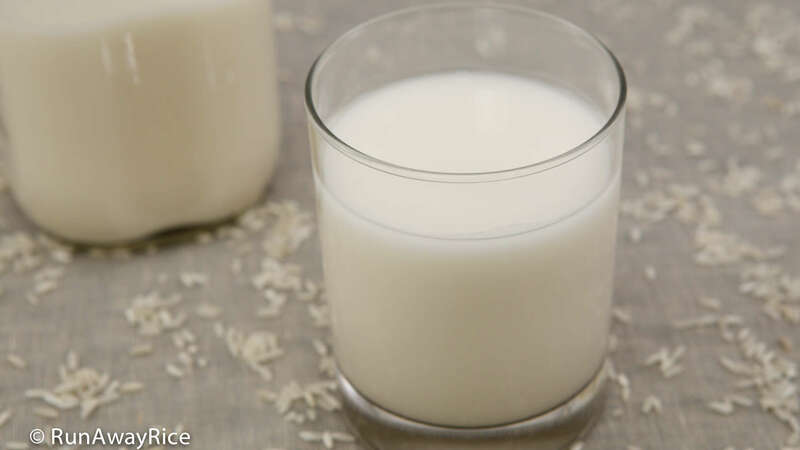 As more of us are becoming lactose-intolerant or having dairy allergies, Rice Milk is a nutritious and tasty option. 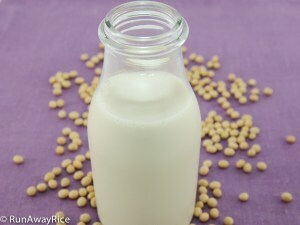 Rice Milk can be enjoyed like cow’s milk, drinking it as a refreshing beverage, pairing with cereal or granola (my favorite!) or using as an ingredient in your favorite recipes. Enjoy! Use 4 parts water to 1 part dry rice. 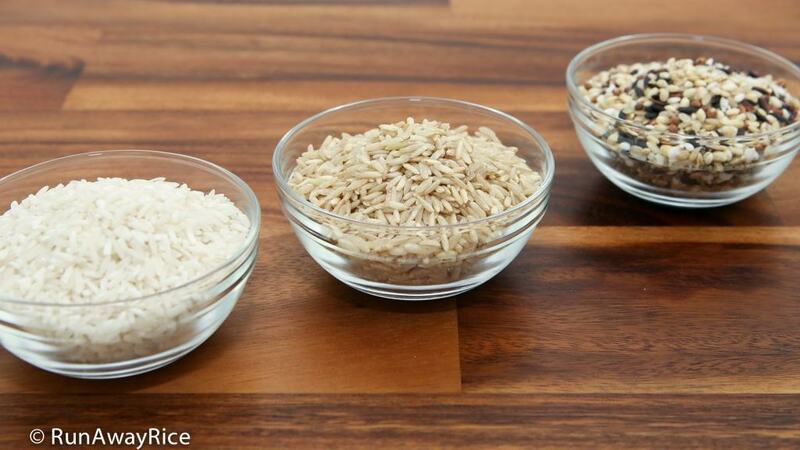 Adjust this ratio depending on your preference for thick or thin Rice Milk and the type of grain. The multi-grain rice needs more water and the ratio I use is about 5:1. 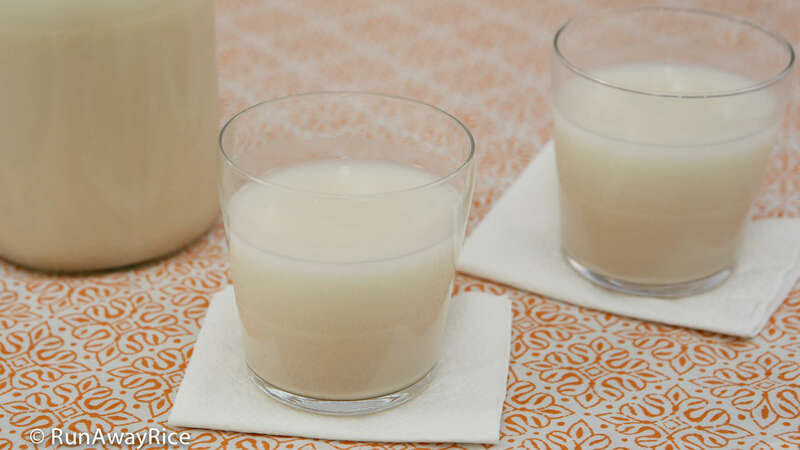 If you’re not sure of which consistency is best, make the Rice Milk using the 4:1 ratio. Then when enjoying, add more water as needed. A lot of recipes don’t roast the rice and I think this is an important step. Roasting the rice makes the Rice Milk really fragrant. Unless, you’re really pressed for time, don’t skip this step. The wonderful aroma of roasted rice will be the first thing you notice about the homemade Rice Milk. I have several nut milk bags because I make Rice Milk, Soy Milk and almond milk often. Instead of the nut milk bag, you can use a double layer of cheese cloth or a clean kitchen towel to strain the milk. Add your choice of sweetener. Use sugar, honey, agave syrup or a sugar substitute. I typically don’t sweeten the entire batch and prefer to add sweetener to my glass if I am drinking it. A lot of times, I am adding Rice Milk to cereal or granola, which is plenty sweet already, so the extra sugar isn’t necessary. Store any remaining milk in the refrigerator. I store the Rice Milk in mason jars or old milk bottles, sealed with lids. Enjoy within the week for maximum freshness. Before serving, be sure to shake the jar/bottle or stir the milk really well as it separates. What can you do with the leftover rice pulp? Mix it with boiling water to make a quick and delicious hot cereal. Add it to bread and muffin batters or use as thickener for soups and stews. Add the rice into a large bowl and fill with cold water. Swirl the rice in the water a few times. Pour out the rinse water. Repeat washing the rice 1 or 2 more times or until the water is clear. Transfer the rice to a large skillet. Roast the rice over Medium Low heat, stirring frequently. Cook for 7-8 minutes or until the rice just turns golden and is fragrant. Transfer the rice to a large bowl. Add a generous amount of water to cover the rice, approximately 4 cups. Stir together. Let the rice soak for at least 4 hours or overnight. Drain the rice and discard the rinse water. Transfer the rice to a blender. Add 4 cups cold water. Starting on Low speed, gradually increase to High speed and blend for 2-3 minutes. Place a nut milk bag into a large measuring cup or bowl. Pour the rice milk into the bag. Cinch the bag closed. Squeeze the bag to extract the milk. Add your choice of sweetener and stir well. This Rice Milk recipe is a breeze to make and so delicious. In this easy recipe, roasted brown rice is used to make a fragrant, light-tasting and refreshing drink. Add your choice of sweetener: sugar, honey or a sugar substitute and the Rice Milk is a wonderful beverage to enjoy any time of the day. 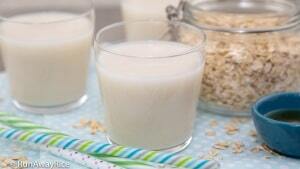 Use brown rice, white rice or multi-grain rice to make Rice Milk. Any size grain, long grain or short grain works. Use 4 parts water to 1 part dry rice. Adjust this ratio depending on your preference for thick or thin Rice Milk and the type of grain. Roasting the rice makes the Rice Milk really fragrant. Unless, you're really pressed for time, don't skip this step. Store any remaining milk in the refrigerator. Enjoy within the week for maximum freshness. 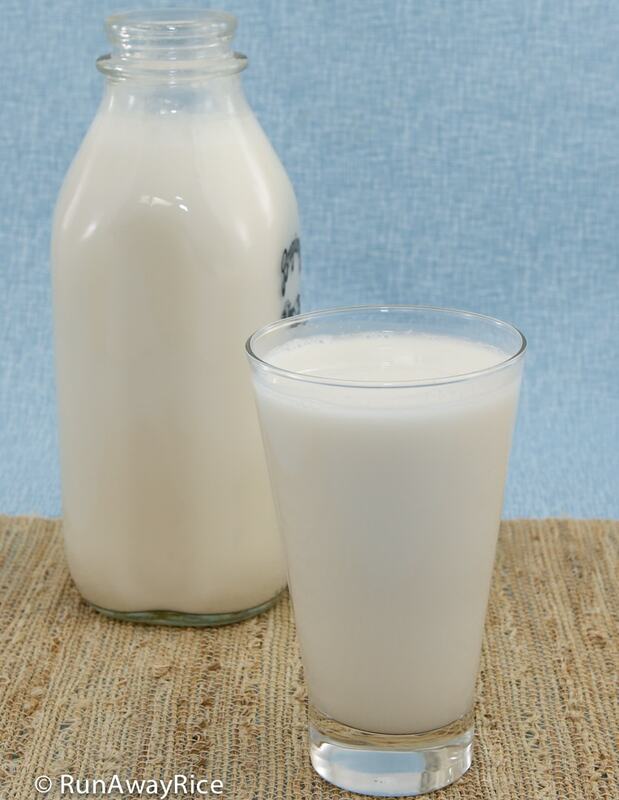 Before serving, be sure to shake the jar/bottle or stir the milk really well as it separates. Why do you discard the water used to soak rice overnight? It’s the rinse water and often has impurities in it. Hope that helps! Thank you for sharing this great recipe. It was my first time making rice milk and it turns out fantastic. I will make it once a week now for my family. 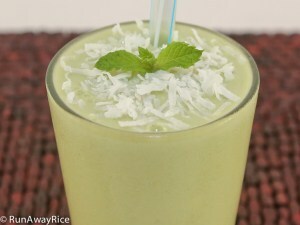 I really love this Rice Milk recipe. I too prefer the taste of brown rice over white rice. Thanks for sharing this easy recipe!